Why are HDB rental flats readily available to foreign workers when so many S'poreans are homeless? Leong Sze Hian. 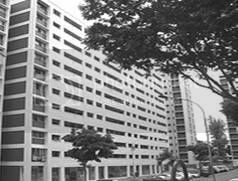 HDB flats – a precious resource for foreign workers? The following is a letter from Mr Leong Sze Hian to the Today newspaper. It was published on Today Online on 31 Dec 2009. I REFER to “Asset that keeps growing” (Dec 30) and reports that two Housing and Development Board (HDB) blocks in Toa Payoh will be rented out to foreign workers from the Integrated Resorts (IR). My friend, who is unemployed, asked me what is the cheapest rental that he, as a single person, can get in Singapore, as he can no longer afford the single-room rental in an HDB flat. I understand that the cheapest single- room rental in an HDB flat is about $350. As far as I know, the cheapest rental is $140 in a shared HDB flat, from EM Services. However, this option is only for foreigners and is not open to Singaporeans. Why is it that a Singaporean has to pay at least $350 for a place to live, when an IR foreign worker can rent for as little as $140? While thousands of Singaporeans have to wait for months to get a rental flat, why is it that foreign workers can rent and stay in HDB flats immediately? So why are these blocks now being used to house foreign workers for rental profit? This is not the first time that HDB flats are being rented out to foreigners, as I understand that there are flats in Woodlands used for this purpose. HDB flats, being public housing – a precious, limited resource, and much in demand – should only be reserved for Singaporeans.